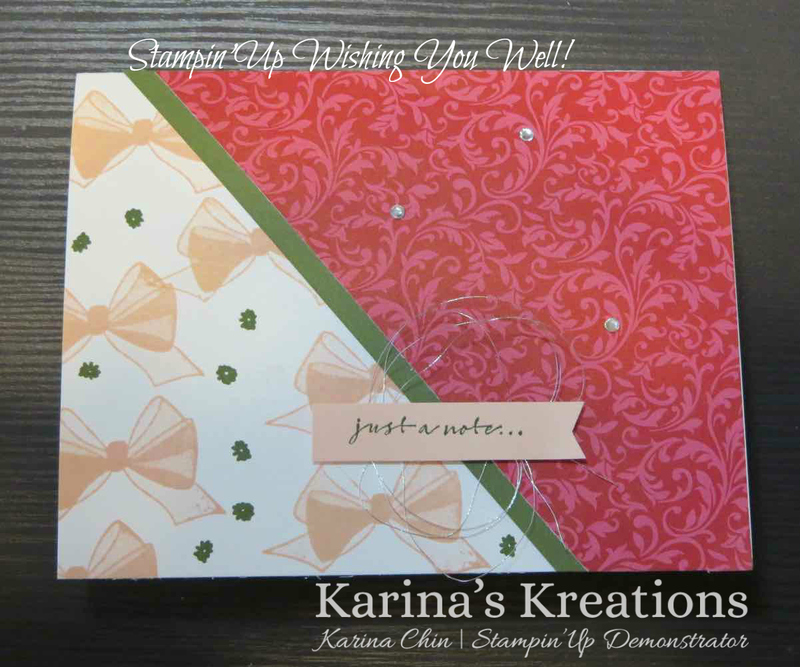 Karina's Kreations: Stampin'Up Wishing You Well! Have you ever made one of these angle cards? I have a few tips for you. My card uses the new Wishing You Well stamp set and Dashing Along Designer Series Paper. 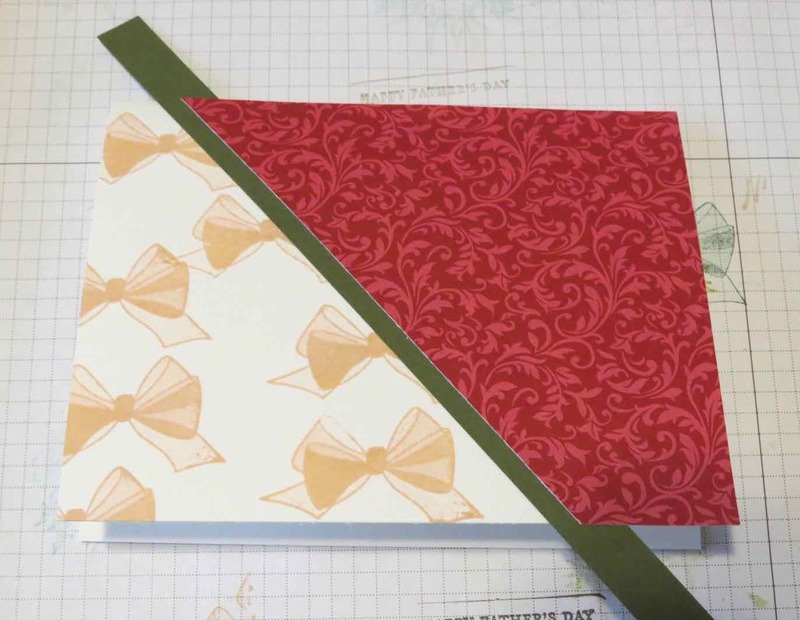 This paper is free for hostesses who have a $300 party. 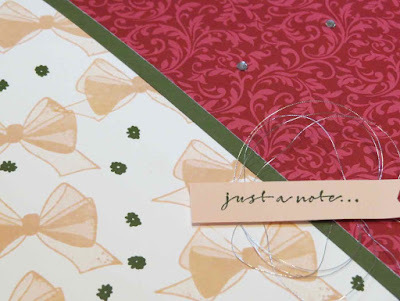 I paired the Cherry Cobbler colored paper with Mossy Meadow and Petal Pink ink. 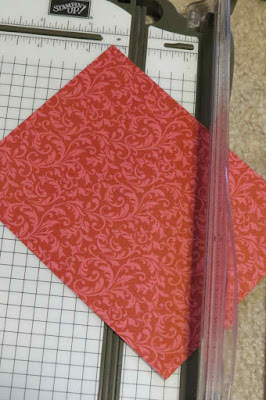 Line up the 4-1/4" x 5-1/2" designer series paper at1/2" along the top of the paper trimmer and 1" along the side to create the angle. Trim away the excess card stock. These items can be ordered September 5.